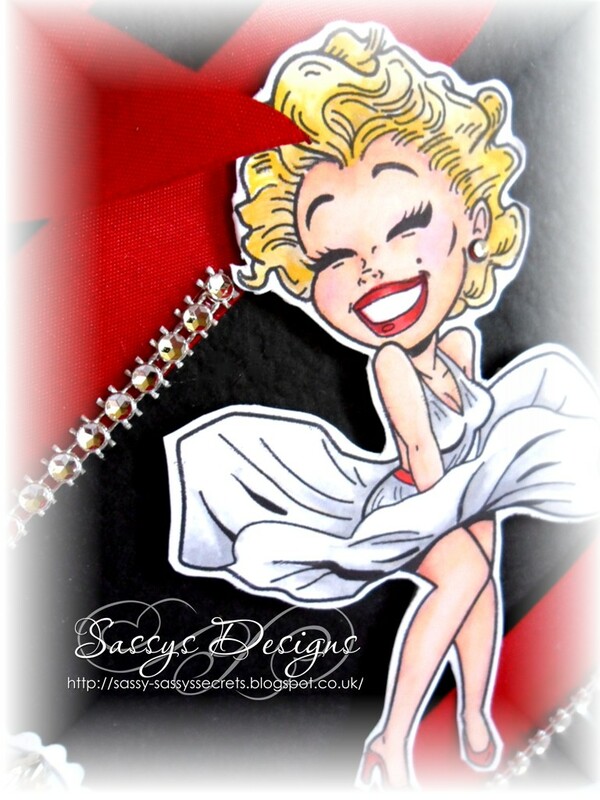 hope you might like my card just love his images so much fun i used my promarkers and a bit of bling!!!!! Happy Birthday to you, sorry I missed it, a lot going on this week lol......super card with K> Kenny..now get on with the next 40 years!! Happy birthday. Did I get that number of years correct. Cant be, you are so young and sassy, a split image of your card. Live the touch of bling. glad that you had a fab birthday Sassy! and gorgeous photos of your gang! and a typically gorgeous sassy card too! Hi Sassy. So pleased that you had a good birthday. Fabulous photos of you and your lovely family. Your card is gorgeous. I love the glam image and wonderful colours. Happy Birthday Sassy, you look fabulous. Not that far behind you. Where do the years go? 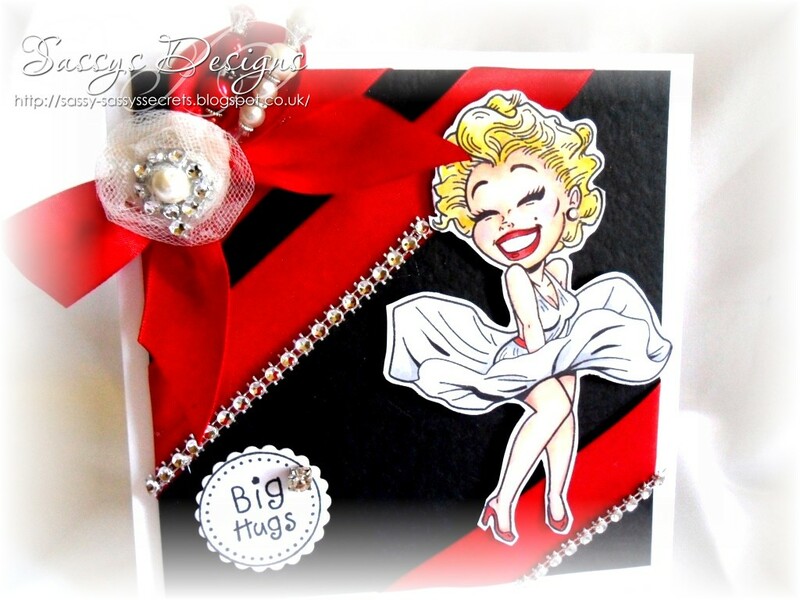 Such a fabulous card, love this image and your design. Hello My Sweet Sassy floss, Lovely pics you don't look a day over 35 and it looks like you had a good time, your card is fabulous I like the image and all the bling. 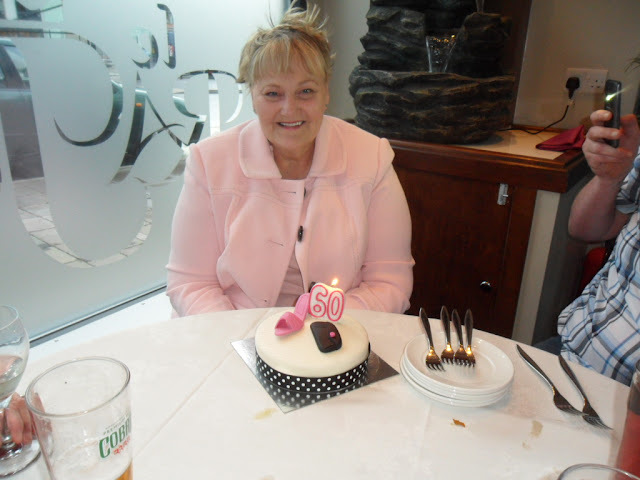 So glad to hear your 60th was a blast! Your card is beautiful and your cake! Love the image and design! So glad you joined us at Crafty Sentiments! 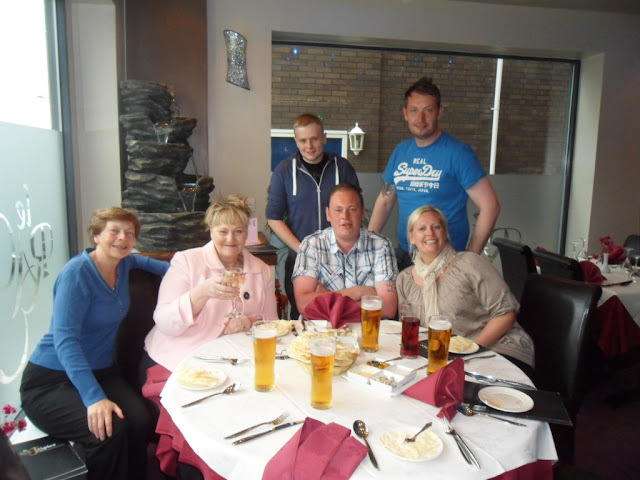 Super card Sassy..just up your ally...lol You look very smart hun and lovely family you have ...Your cake looked brill. glad you had a fab Birthday and i must say you dont look SIXTY !!! Beautiful card creation and BEAUTIFUL Birthday Girl!!! Is that a self portrait of you on that card celebrating your birthday??? LOL!! Thanks for sharing your birthday photos ... what a handsome family you have and that cake is adorable! Happiest of Birthdays to you my friend ... and many, many more! so stunning sassy.fabulous image and I love your striking colours and bling. Ah Happy 60th Birthday Sassy, you look amazing in your gorgeous PINK coat!! I love it. I love your card too, made me smile! You don't look like 60:)I hope you had a fantastic day. Lovely photos. A wonderful card. I love the image. Love the photos - you like like you were having a wonderful time. Hope you had a lovely weekend and a great Birhtday! Your card is fabulous! Love the colour combo and the row of bling is just fantastic. OOh, sassy :) Fabulous as always! !